Hillary and Dan's Wedding » Blog Archive » 68 Days to go! Hillary and Me at Niagara, originally uploaded by Dan Hewins. We’re getting ready for the big day! There are a lot of details to cover but things are all coming together. 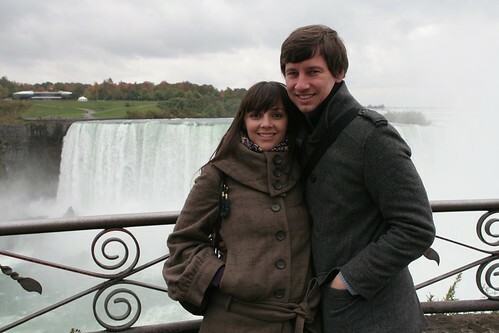 Here’s a photo of us from last fall at Niagara Falls. Wow! I guess Dan wasn’t lying after all when he told that story about having a girlfriend he met in Niagara Falls.